The Old Foodie: The proper appreciation of sparrows. English Sparrows are being properly appreciated. Hundreds of them are now caught by enterprising people for sale to certain restaurants where reed birds are in demand. A German woman on Third Avenue has three traps set every day, and she catches probably seventy five a week. They are cooked and served to her boarders the same as reed birds and are declared quite as great a delicacy. This German woman bastes them, leaving the little wooden skewer in the bird when served. They are cooked with a bit of bacon. She tempts them with oats, and after the catch they are fed a while with boiled oaten meal. She sprinkles oaten meal in the back yard also, and thereby fattens the free birds. … So soon as it becomes known that the Sparrow is a table bird their number will rapidly grow less. People don't like to experiment, but when it is discovered that the Sparrow has been declared good by those upon whom they have been tried, no boarding house meal will be deemed in good form unless a dish of fat Sparrows adorns it. 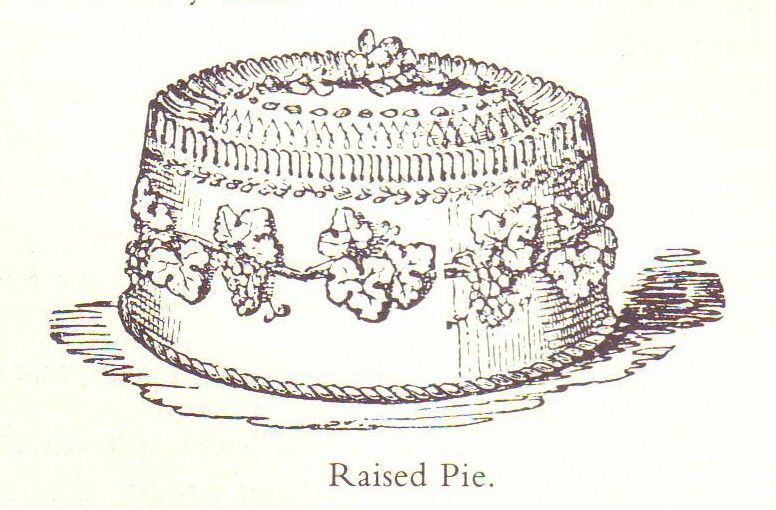 Sparrow pie is a delicacy fit to set before a king. The tourte of sparrows is served like that of young pigeons with a white sauce. I went to a restaurant that serves "breakfast at anytime". So I ordered French Toast during the Renaissance. Steven Wright. Sparrows?! Can you imagine having to pluck 5 doz. sparrows?! Sheesh. Naturally, Sally, ones servants would do that job :-). yes, and *I* would probably be that servant! I can't imagine eating little bits of meat off the tiny frames of a sparrow. Seems to me the effort would outweigh the the consumption. on the wing as intended. I've recently heard of an old Russian dish that puts a sparrow inside a potato prior to cooking (baked, I think). Would you happen to have a recipe for this? Also, the sparrows aren't "plucked", but skinned. Hello halfadime7. I dont know the russian idea, but it sounds interesting. There is this, which is a similar concept. Boil twelve Hen or Duck Eggs soft; take out all the Inside, making a handsome Round at the Top; then fill half the Shells with passed Crumbs, and roast your Larks; put one in every Shell, and fill your Plate with passed Crumbs brown; so serve as Eggs in Shells. In Portugal it happens that sparrows are very apreciated for centuries, and mostly by poor people, who can benefit from the abundance of these gratuit winged food. Hello 'Anonymous' - have you ever eaten sparrows? I can appreciate that they would be useful food for poor people, but it must be an awful lot of work for a small amount of meat! They eat sparrow in Spain as well, or did back in the late 60's when I lived there. I've seen people trap them in empty urban lots in Madrid. Once I saw a plate of them piled in a pyramid in the window of a restaurant, looking all the world like toy thanksgiving turkeys. Can anyone please suggest me any shop or restaurant I could actually find sparrow meat? Sparrow meat is considered as an ancient remedy for speech delays, circulatory issues , impotency and much more. I am in desperate search of it for my little kid. Can anyone please give me a shop or restaurant name where I can actually find house sparrow meat? I am desperate to find it for medicinal reasons.